I am excited to announce that I finally made a Facebook Fan Page for my blog! If you’re a fan, please “Like” me. I’d love to hear what your favorite recipes are, or what you would like to see on the site! 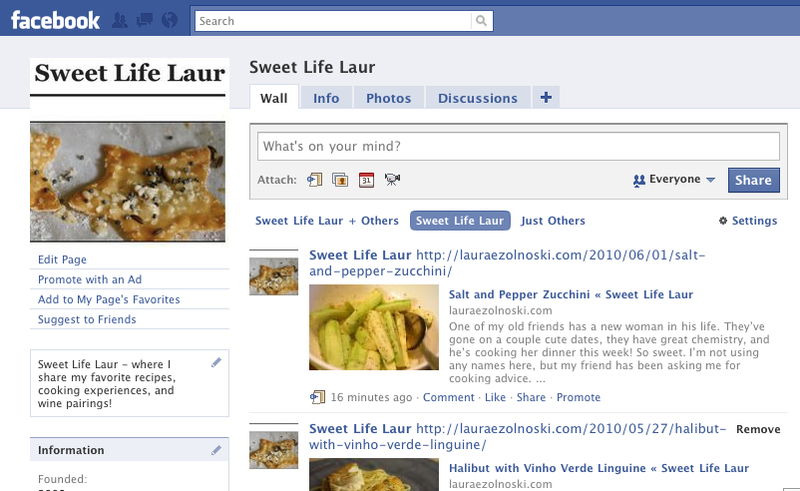 My next goal is to design a Sweet Life Laur logo…stay tuned! Thank you! xo.